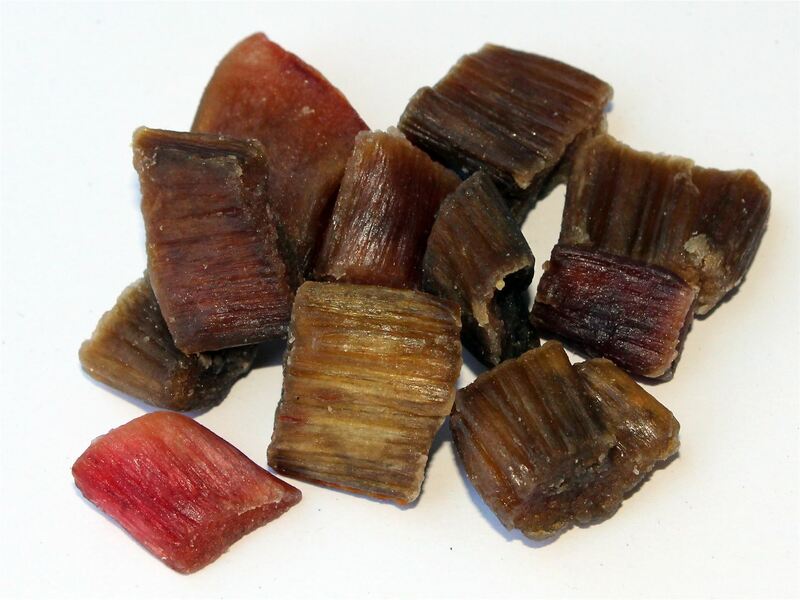 Dried rhubarb is versatile, for example in dessert and muesli, and also as a snack between meals. Responsible for the refreshing, spicy-sour aroma of the rhubarb are the fruit acids apple and citron acid. In addition, rhubarb is rich in potassium, iron, and vitamin C, but low in calories. Rhubarb belongs to the family of Polygonaceous plants and is originally from the Himalayas. Since the 18th century, rhubarb also prospers in Europe. The reddish-green leafstalks can be up to 70 cm long and can be harvested from April to June, they are very popular in the kitchen.